Pacific Industrial has acquired North Stadium Business Center, a 151k sf, nine-acre multi-tenant business park in Anaheim’s “Platinum Triangle”. The asset, which sits directly adjacent to a property the firm already owns, cost $22.65 mil ($150/sf). Located at 2020-2120 E. Howell Ave, near the interchange of the I-5, SR-22 and SR-57 freeways, North Stadium Business Center and its next door development are within walking distance of the city's two major sports and entertainment venues, Angel Stadium and The Honda Center. The property is currently leased to more than 30 different tenants. Seth Davenport, Mitch Zehner and Rob Socci with Voit Real Estate Services, represented the buyer and the seller, 2020 Howell Avenue Enterprises LLC and Howell Avenue Enterprises LLC, in the transaction. Pacific Industrial has also appointed Voit as its exclusive agent for the property. Pacific Industrial now owns 17.5 contiguous acres between Angel Stadium and the Honda Center, with immediate access to more than seven million rooftops, according to Davenport. "The asset's highly visible location with immediate access to three major freeways makes it an ideal opportunity for additional multi-tenant industrial, for "last mile" product distribution, particularly in the e-commerce sector, as well as for potential multifamily and retail uses,” Davenport added. Dan Floriani, Partner and Co-Founder at Pacific Industrial noted, "The acquisition of North Stadium Business Center gives us a property with immediate cash flow from the existing multi-industrial park, as well as a tremendous number of potential scenarios for this large site in a dense and sought-after work, live and play area. 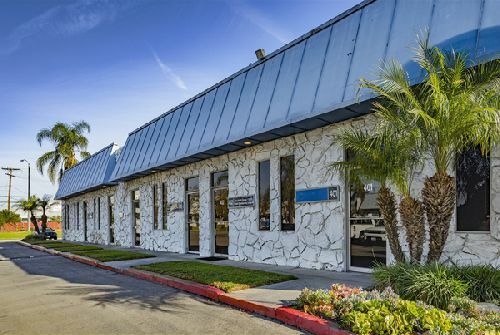 Purchasing this asset allows us to expand our footprint in the heart of Orange County and gain control of a large area, including the only acreage in the market that has not yet been developed."